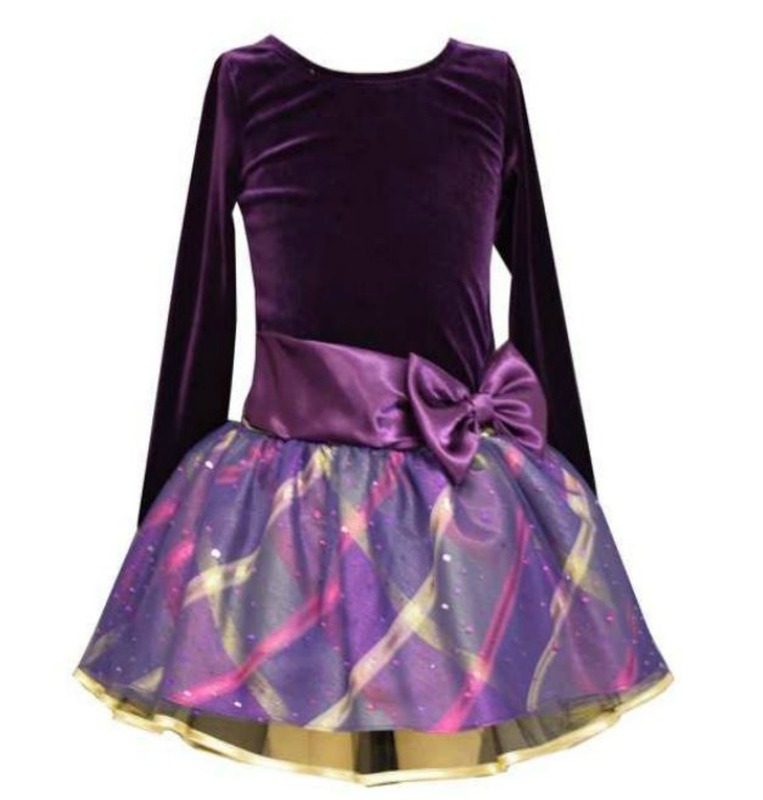 Beautiful elegant rich purple stretch velour dress features plaid skirt in tones of purple and gold. Satin sash with bow attached at drop waist. Tulle edge lining.